Nine years ago I was in Rome Italy, and I was struck by how many stray cats were wandering about the Colosseum. 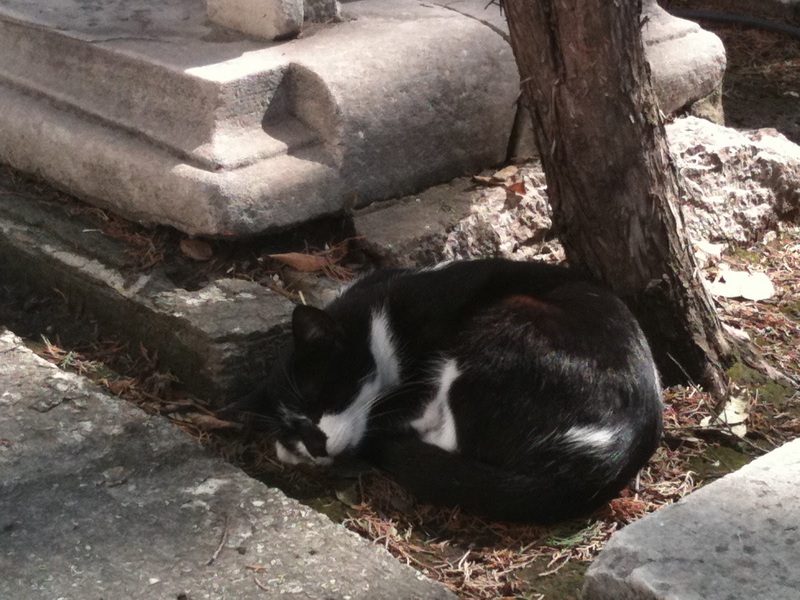 Yet the number of stray cats there barely rivals those in Istanbul! 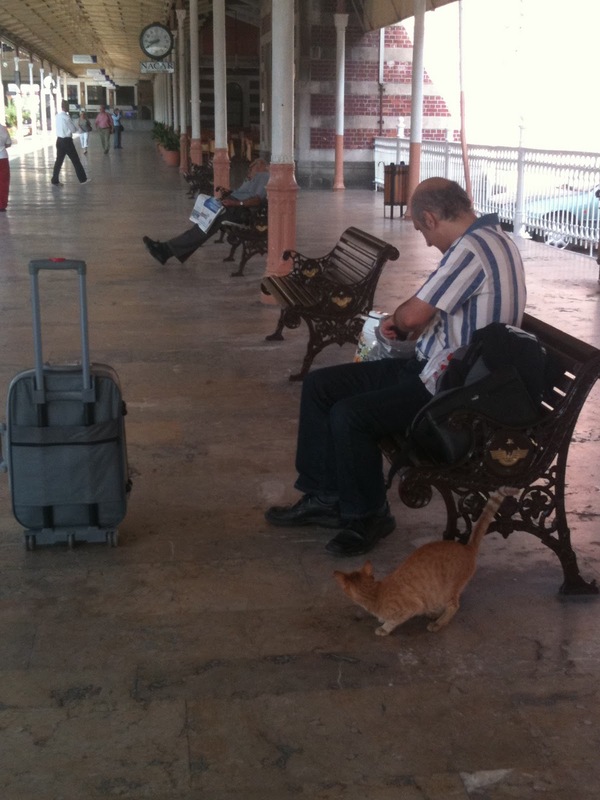 From the time I arrived to Sirkeci Station in Istanbul and throughout my wanderings around the city, there were cats nearly everywhere, at every site, around every corner, outside windows, under restaurant dining tables — some friendlier than others — but hovering and watching. A few times I even came across entire litters of kittens romping around a grassy area. 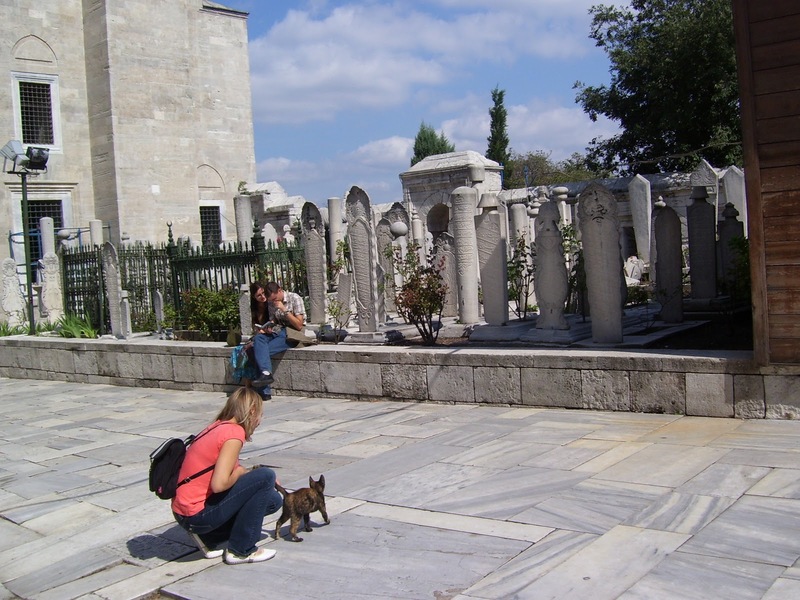 At Süleymaniye Mosque, one feline endeared itself to a tourist. At the Spice Bazaar another comfortably cozied up on a pile of small carpet squares that were meant to be for sale. In cemeteries, rooftops, and gardens, they would lie around with enviable ease. I’m not a cat lover, but I also don’t revile them. I’m always curious at their independence and grace. 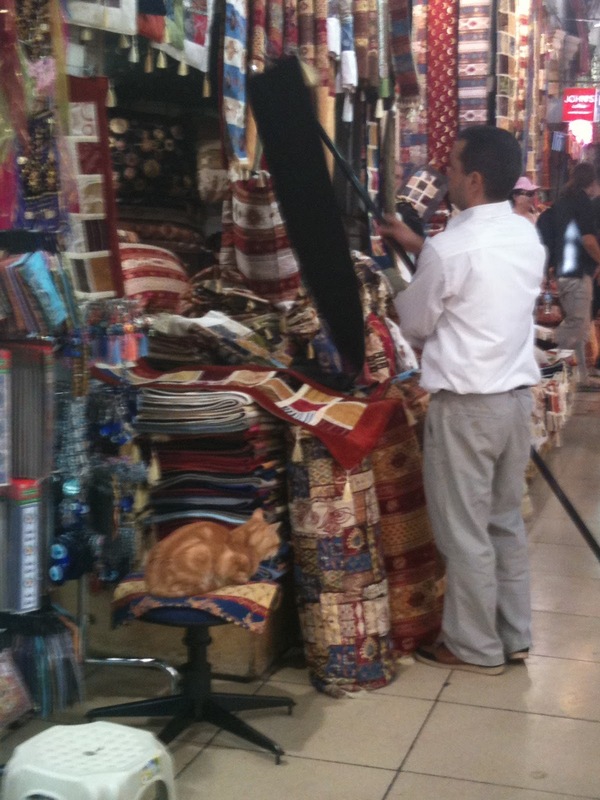 Here is a small selection from the multitude of cats wandering around Istanbul. 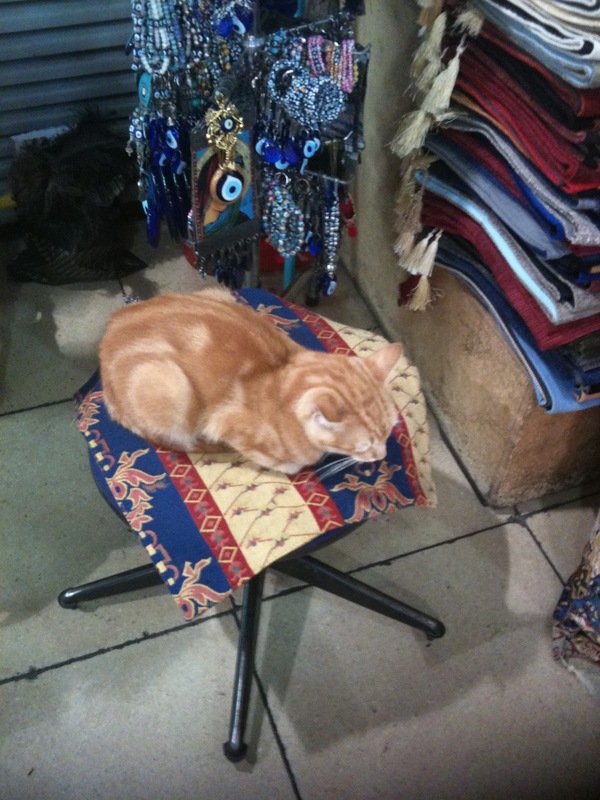 This entry was posted in Eastern Europe, Istanbul, September 2010 and tagged cats, Istanbul. Bookmark the permalink.